My sweetie fashion gal who runs I Have A Degree In This blog asked me for my shoe predictions for the new year as a guest blog. 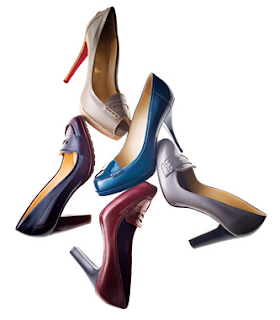 And so I give you: 2011 Top Shoe Trends - the High$ & the Low$. I hope you like what I think is haute this year! Share your predictions with me too!! Awesome post! I totally agree with all your choices. Love how you gave splurge and save choices! I love the loafers! They remind me of a pair I had when I was in the 7th grade! I use to love those shoes and I thought I was so cute haha. I just read your guest post and I have to say I love all of the shoe finds. Clogs and Prada loafers - yes, please!